Suitable for a one-semester course covering the applications of calculus to business, economics and social science, this edition includes the same material as the first eight chapters of the two-semester text. With clear exposition, it contains excellent problem sets, illustrations, examples and review problems at the end of every chapter. 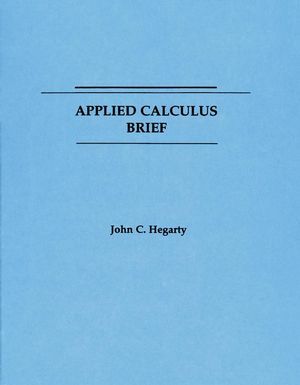 John C. Hegarty is the author of Applied Calculus: Brief, published by Wiley.